KnowledgeBase » How to send SMS in X3G SE? 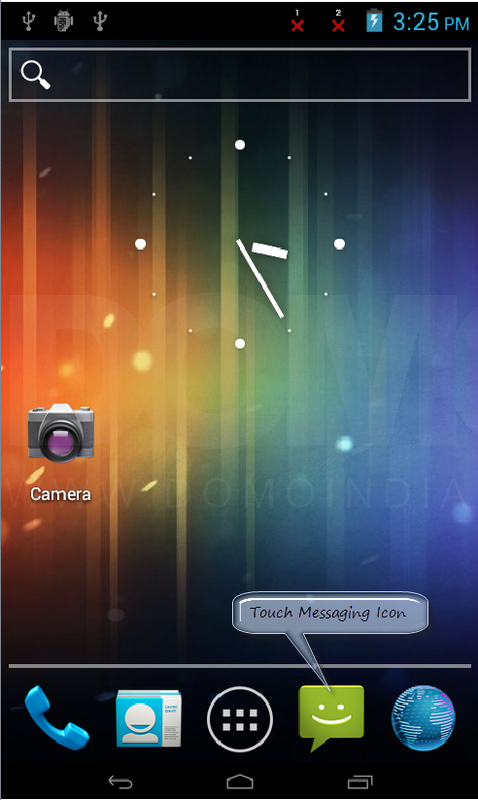 Touch the Messaging icon located on main screen. 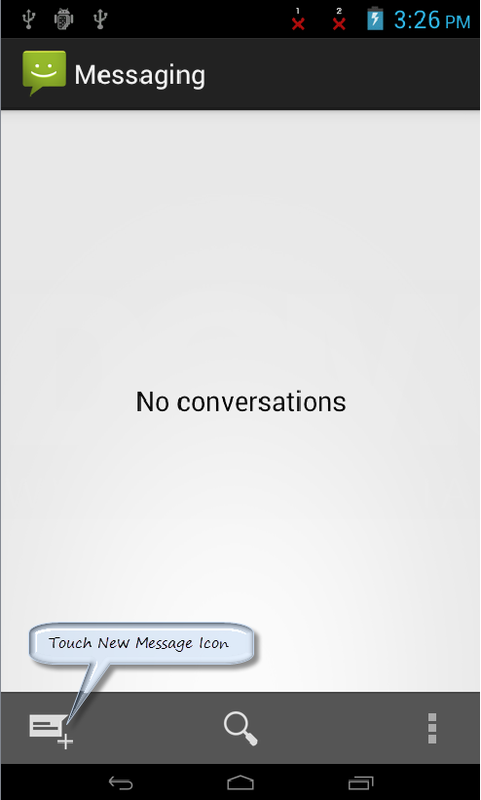 In Messaging application touch New Message. 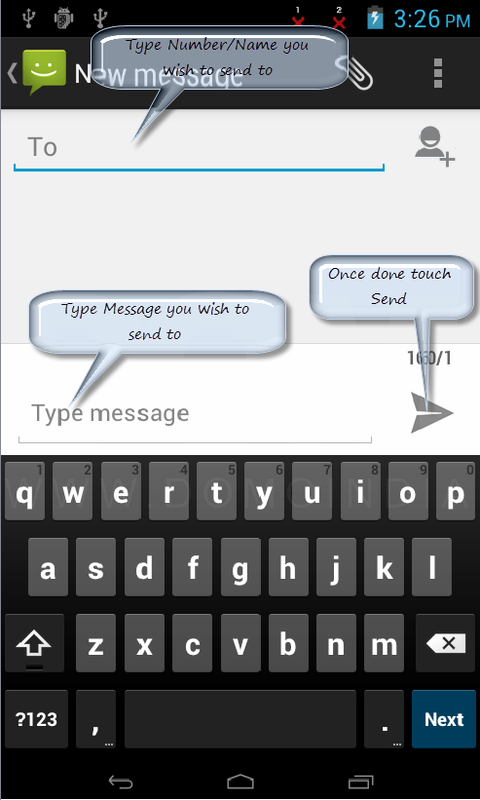 Type the number/name you wish to send SMS, then type the message in Message Bar you wish to send and touch the Send icon. KnowledgeBase > Slate > DOMO X3G SE > Slate X3G SE General (ICS) > How to send SMS in X3G SE?